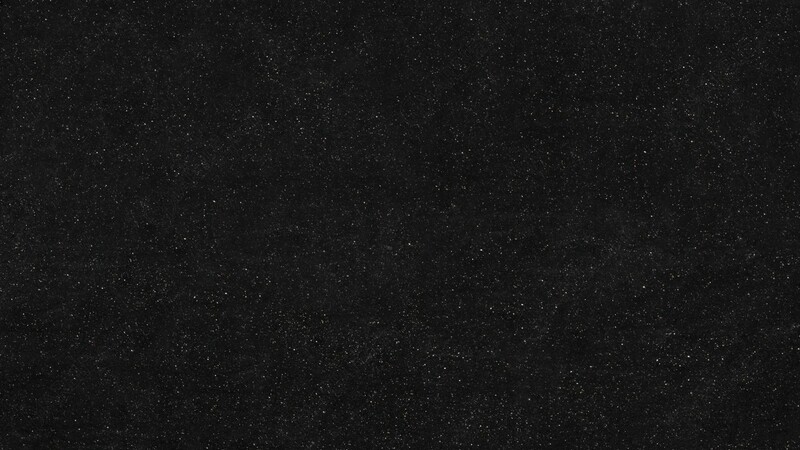 Black Galaxy Granite is a very consistent solid black stone with scattered, copper-colored flakes. 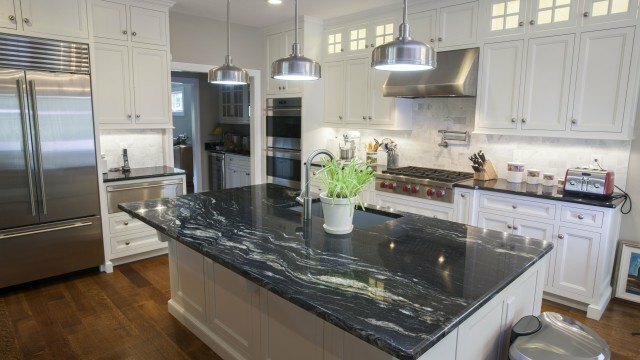 This natural stone can add an elegant atmosphere to your kitchen with qualities reminiscent of a beautiful starry night. 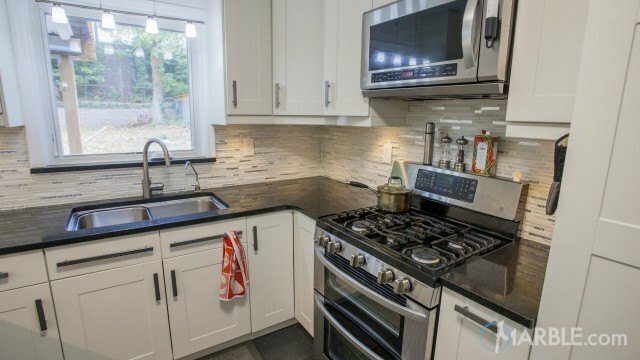 It also can be uses for bathrooms, fireplaces, or outdoors.